Much like a No. 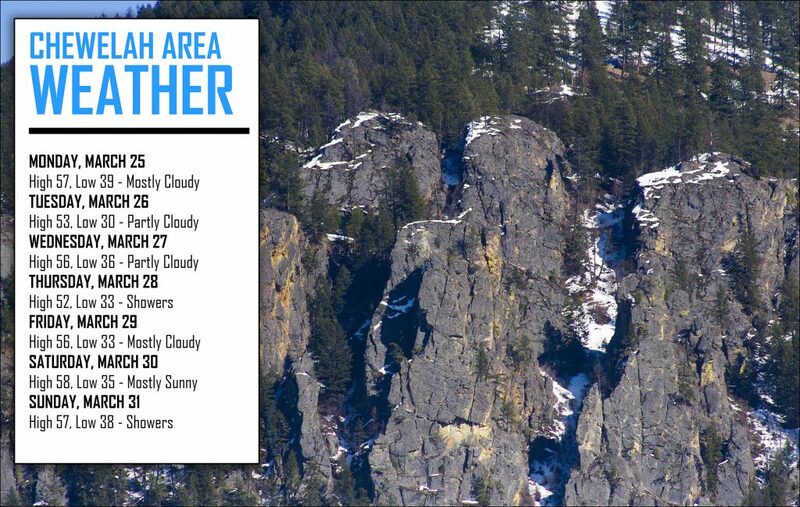 16 seed in the NCAA Tournament, the snow has little chance against the changing temperatures in the Chewelah area. The spring warm temps will continue with highs in the high 50s and lows above freezing nearly all week. 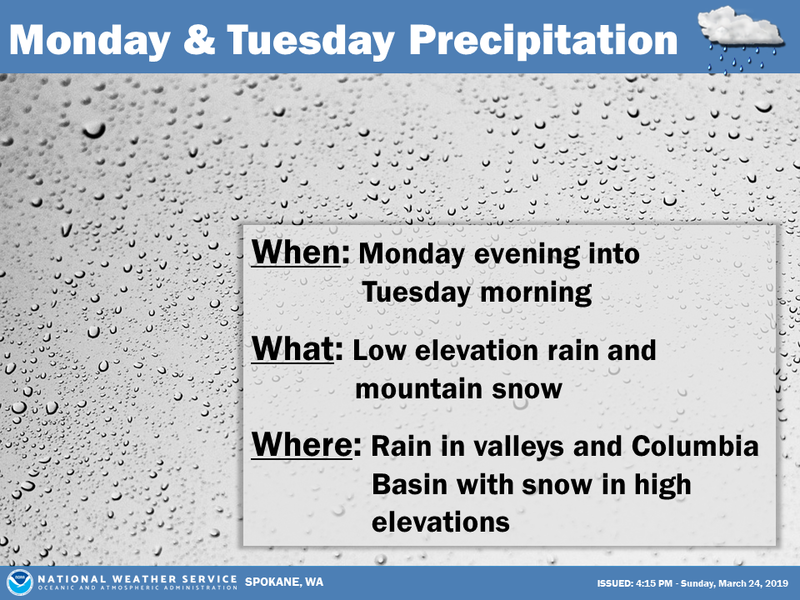 A storm system moved through the Spokane region on Sunday night and another storm will come through on Monday night. This could result in lower elevation rain but higher mountain snow. As a result, patchy fog could be possible in the Chewelah valley, as it can be known for some interesting morning fog during the spring. There will be rain showers in the afternoon on Thursday and the hottest it will get is 58 degrees on Saturday and 57 degrees on Sunday. Nightly lows will be warm-ish, as Tuesday should be the only evening below freezing.